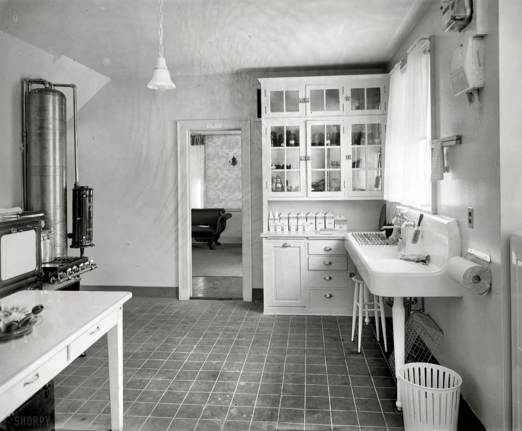 The kitchen of the 1920's was all about efficiency, cleanliness, and colour. 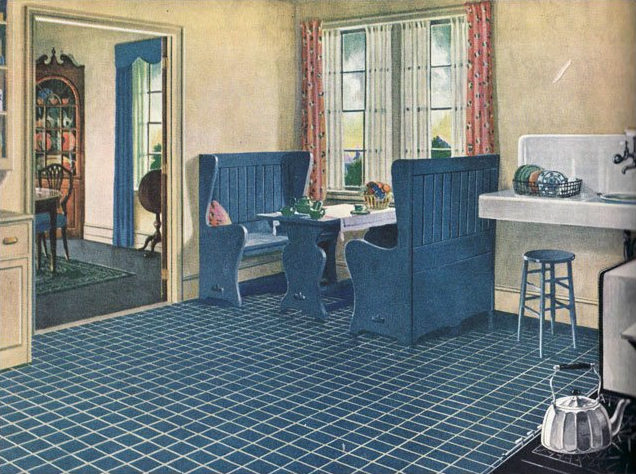 This is when we started to see the iconic checker board linoleum flooring that we still love to use today. 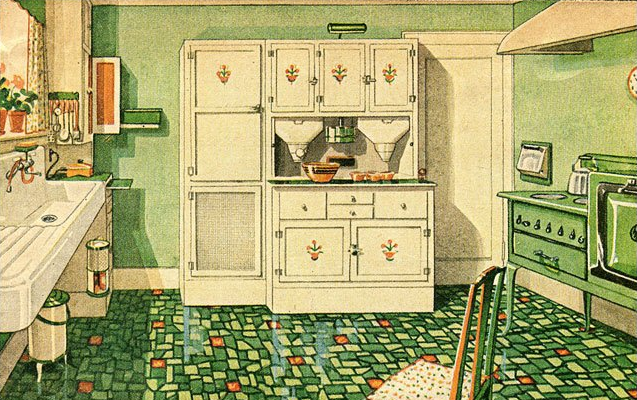 We've got some great historical photos and some commercial illustrations that show the style of the time. Some of the most popular design elements are legs. Legs on the sink, stove, and the additional cabinetry. The Hosiers cabinet became very popular at this time, having a place for everything and keeping it all organized. 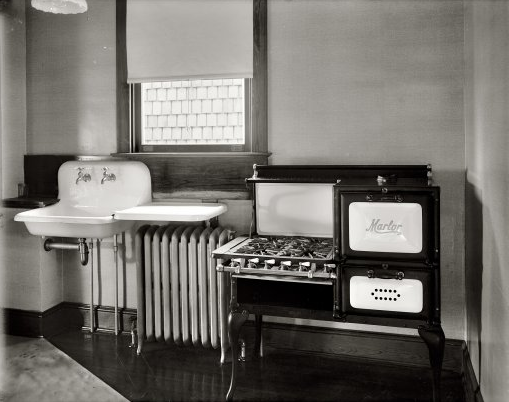 The 1920's is when the matriarch of the family started to spend a lot of time doing the cooking. Think Julia Child's "serventless american cooks". This lead to making the kitchen pretty, adding coloured plumbing fixtures, and decorative touches. Breakfast Nooks also started being included so the family could eat together in the kithchen. 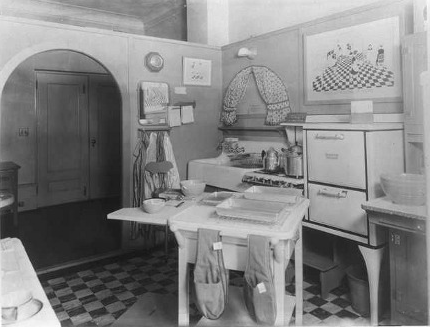 Some european folk touches were also added like Dutch tiles. 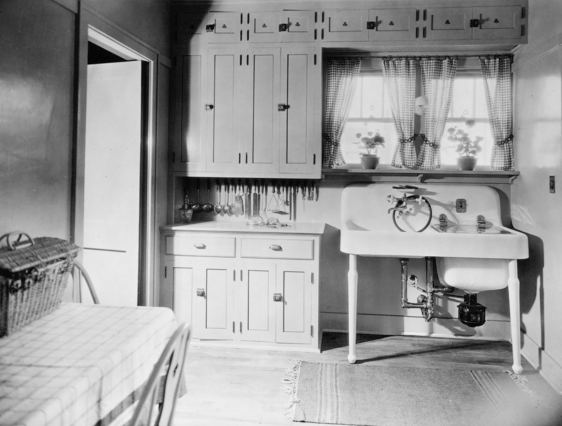 The 1920's kitchens have a very striking and nostalgic look that we still love to draw from today in our modern kitchens. 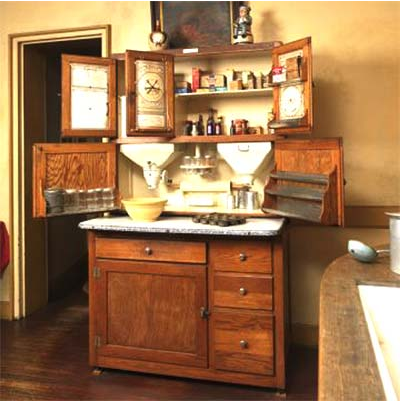 Here are some great examples of how to have 20's design in kitchen today. Personally I love drawing off the past for inspiration now. 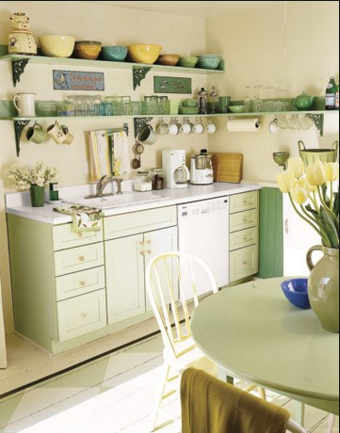 You can't go wrong adding a few classic elements to your kitchen remodel for a stunning new look. 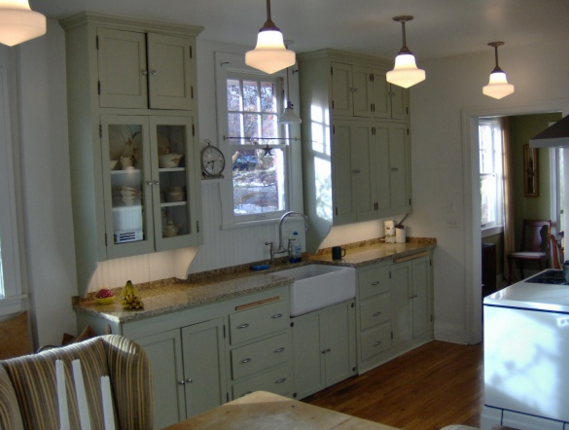 If you are having thoughts of updating your kitchen give Alchemy Renovation a call or visit our Website. We can help with all your changes big and small. Stay tuned for our next era of kitchen we look at.